Starting a running routine is a great way to increase your cardiovascular fitness, make new friends, and explore your city. Once you catch the running bug, it can be hard to want to miss a day or stick to subtle weekly increases to your mileage. To give you a reason to pace yourself with your new hobby, this article reviews setbacks common to beginning runners. Some of these setbacks are injuries while others are minor issues that can keep you off your feet or lead to an injury if left untreated. Save yourself from downtime by heeding advice from veteran runners on how to outsmart these issues before they outsmart you! We’ll start our overview with some minor setbacks that beginning runners often face. While not full-blown injuries, they can lead to serious downtime when left untreated. Save yourself from frustration by taking these tips seriously. Ahh runner’s toe! Some might call it a badge earned by logging long miles. We think these people have experienced one too many runner’s highs. While it’s good to know you’re not alone in dealing with an annoying running setback, it’s better to avoid this one in the first place. Runner’s toe is the phrase used to describe the blackened appearance of a toenail(s)caused by toes repetitively rubbing against your shoes. This setback usually occurs after a long (over 5 mile) run. A bad enough case of runner’s toe can even cause your toenail to fall off. That awesome pedicure you wanted to show off? Not going to happen if you catch a case of runner’s toe! The good news is that less than an ounce of prevention is needed to outsmart runners toe. That’s because the best way to prevent this ugly assault to your beauty regimen is to clip your toenails. The second most important way to outsmart this potential setback is to make sure you have a pair of running shoes that fits. Running shoes should run (pun kind of intended) about a half size larger than your everyday kicks to make sure there is enough room in the front for your toes. If you aren't sure about your shoe size, visit a specialty running shoe store to find the proper fit. This is not meant to be a joke; you’ve probably had a blister before. Blisters are those bubble-like protrusions that form when your skin continually rubs against your shoe or a piece of clothing. Usually blisters are filled with fluid, however, a bad one can be filled with blood. While this might seem like no big deal, a bad blister can keep you from running. We’d hate to see you miss your first 5K for something as silly as this setback. A blister is pretty easy to outsmart. 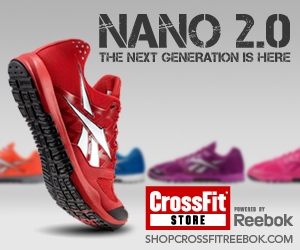 See a specialty running shoe store to ensure that your shoes are made for your personal running form and foot specifications. While you’re there, pick up a few pairs of running socks. Bulky socks and those made of cotton can cause blisters. Once you start running, monitor yourself and your feet. If you start getting a blister, cover it with a blister Band-Aid and some petroleum jelly to prevent friction. If your feet don’t adjust, try new socks and if necessary, new shoes as well. Sometimes you’ll experience an injury that stops you from running in the short term. While it may be frustrating to rest a minor injury, helping yourself heal properly will keep you on your feet longer after a setback. Below we have three initially moderate setbacks common to beginning runners and some tips on how to avoid encountering them altogether. An ankle sprain is not the same as a twisted ankle, which can feel better moments after it occurs. Rather, a sprained ankle is the result of over stretching and possibly tearing the ligaments located between your foot and the bottom of your leg. Ligaments are tissues that connect one bone to another. Although ankle sprains can range from mild to severe, they all cause swelling at the joint. If you suffer an ankle sprain, you’ll need to “RICE” immediately. The acronym RICE refers to the process of resting, icing, compressing, and elevating an injured limb. Rest can help an ankle sprain by preventing you from putting weight on the ankle. Icing, compressing, and elevating your ankle will help you reduce swelling in that area. If you heard a pop at the time of the sprain or you cannot walk on the ankle, you should see a doctor. You may have a severe sprain and you might have broken a bone. Do NOT run on your ankle! Trail running is great, but try to stick to flatter ground as a beginning runner to prevent ankle sprains as your body adapts to this new routine. In the meantime prepare your ankles for trail running and unexpected turns by performing balance exercises. Start your balance training by practicing balancing on one foot. Kick your training up a notch by attending a good Yoga class. Eagle pose and Tree pose are two yoga exercises to start your balance practice with. Yoga classes not only incorporate balance poses; they’re also beneficial for general injury prevention. In the gym a Bosu is a great tool for practicing advanced balance moves. Stand on this blue dome and perform various tasks to incorporate a balance challenge in your workout and outsmart an ankle sprain before it happens! Shin splints are a very common injury among beginning runners and pre season running athletes. This setback occurs when the muscles around your shin-bones experience small tears or the shin-bones themselves endure tiny cracks. Increasing your mileage too quickly or changing your running terrain are the most common causes of this injury. However, wearing shoes that do not properly support your feet can also cause shin splints. Keep yourself from dealing with the setback of shin splints by increasing your weekly mileage slowly. Follow a running plan that fits the distance you are training for and your current running level if you are not sure how to safely alter your routine. Another great step to take? Stepping away from the concrete! Avoid hard running surfaces that increase impact. Stick to a running track, treadmill, or natural running path instead. If you do get shin splints, rest your legs. If you do not listen to your body you will only worsen your injury. Try swimming or biking to continue to work on your cardiovascular fitness during this phase. 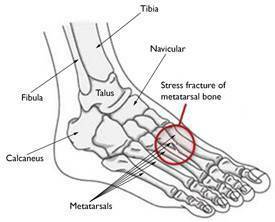 A stress fracture is a small break in a bone caused by repetitive strain in this area. In runners a stress fracture injury most commonly occurs in the foot or in the shins. If you are experiencing pain in these areas while running, you should see a doctor. He or she may be able to identity the injury as a stress fracture through a conversation about the setback you’re experiencing. However, your doctor will likely also want to take an x-ray of the area. Outsmart this potential setback by slowly increasing the duration, intensity, and frequency of your workouts. Stress fractures most commonly come from over training and excessive impact. However, they can also occur even when you’re following a well-designed program if you are not eating properly. Make sure you are eating enough calories and consuming calcium, which is important to help bones repair themselves after hard workouts. Running is an excellent form of exercise. By taking some of the common beginning runner setbacks into consideration, you should be able to enjoy this activity free of setbacks as your body adjusts to your new routine. Purchasing good shoes, slowly increasing mileage, and listening to your body are small steps that can go a long way in helping you avoid downtime.